Tangiers International provides support for companies and self-insured employers in emerging markets around the globe. Our services include a reach into hostile and challenging environments, often providing assistance in areas in which it is not otherwise available. Our goal is to provide cost-effective measures to ensure adequate care and return to work in places where it is difficult to operate or obtain basic services. These includes locations with inadequate medical facilities, below-standard medical facilities and unstable governments. Tangiers International’s services allow for a higher level of peace of mind for international employers. Self-insurance is one of the most important types of coverage available to employers today. Because it provides financial protection for companies beyond what traditional policies offer, it is growing in use by international employers. Employers using it, though, need a further level of reach to ensure employees are always safely protected when overseas. The risks in some areas are very high. Unlike other countries, in which services are at hand and response times are determined in minutes, emerging markets face increasing challenges. Numerous examples exist. For example, the Ebola outbreak created a high-level risk for many employers, and evacuation from some areas was nearly impossible as a practical measure. In 2013, more than 460 aid workers were victims of attacks, leading to 155 deaths and 134 people being kidnapped. That’s a 66 percent rise from the previous year. As these risks continue to grow, insurance contracts providing extensive protections are becoming harder to obtain and more expensive to maintain. In fact, we estimate that insurance plans, which remain still significantly uncommon, will see a 100 percent increase in price over the last 12 months. It is clearly beneficial to turn to such plans for many of the risks and operations a business takes on. However, it is also important to choose a provider that can help with some of the more intense and difficult operations. Tangiers International has the ability to supply extensive reach in some of the most challenging environments and to provide for all of these benefits through its self-insured employer plans. These self-insured plans provide extensive reach. However, they may not meet all of the needs of today’s international employer. 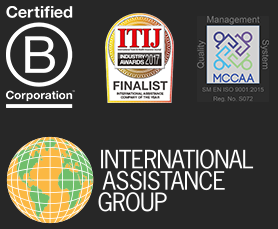 That is where Tangiers International steps in and offers comprehensive support and service to these employers. Tangiers International services the self-insured employer market with comprehensive support in some of the most difficult of situations. The goal is to facilitate the ease at which businesses can operate in these intense situations, giving employers with these plans the confidence they need. Among the numerous services offered by Tangiers International for these plan holders are the following. At Tangiers International, a key service provided is emergency medical assistance. This allows companies to acquire the ability to transport or provide medical assistance to employees in the field. It supports the need for removal of the individual in situations in which inadequate medical care is available. In the event that a medical need arises, whether from a disease threatening the company’s employees or an injury that occurs on the work site, Tangiers International provides the effective movement necessary to get people out of the way and to the level of care they need. As noted, many emerging markets lack the key tools and resources to meet the needs of employees hurt or facing disease on the ground. By providing emergency medical assistance, it is possible to ensure workers get the best possible access to the care they need. Our services also provide coverage for travel-related needs. In situations in which evacuation of field workers or employees becomes necessary, this component of the service can help to safely remove individuals from dangerous situations, even when other limitations are present in doing so. This is quite an important tool in emerging markets where these services are difficult to obtain due to limited means, political difficulties or limited infrastructure. Tangiers International works directly with employers in these situations to help them manage what is occurring in real-time. This can help safeguard business assets and employees in dangerous situations, including those playing out internationally and in emerging areas. Not only does the international business owner need help moving people and protecting assets, but also case management tools and resources that allow for management of the situation on the ground. This can be an empowering resource to today’s businesses operating internationally. As a third-party administrator, or “TPA,” Tangiers International provides extensive support to our clients. We are consultants who handle the day-to-day administration of claims benefits and the claims process, both on a domestic and an international level. This also includes providing guidance, network and document support as needed. Among our services is the ability to help and access medical networks and discounted services, including specialists and hospitals. TPAs also help with enrollment and eligibility requirements for members, track participating members, and, overall, oversee the plan. A key part of this service is to ensure self-insured plan employers have the tools and resources they need at hand. TPAs also handle the compliance requirements and information organizations of key areas of risk, including legal, medical and other compulsory requirements, that impact the way an employer provides services or benefits to employees or workers. Work closely with our team to create a customized solution for your unique needs using our on-the-ground services. For those businesses utilizing the benefits of self-insured plans, Tangiers International streamlines the on-the-ground work to ensure the very best outcome occurs, minimizing costs, protecting employees, and ensuring the best possible outcome in emerging markets around the world. If your business is self-insured, or you are considering moving to self-insured plans, allow Tangiers International to fill in the service gaps in your coverage.